Traveling between Arlanda airport and Stockholm city center can be done in many different ways as everyone who has visited the city knows. Sometimes you prioritize how quick you want to arrive to the heart of Stockholm and other times price is the only that matters. Let me explain you the cheapest way to travel between Stockholm and Arlanda … unless you have a friend who picks you up, of course. This travel option is also very interesting if you are on a stop over and have just a few hours or if you are planning to visit Stockholm in 3 days. The taxi fare is around $60 from the airport to the city and a little bit cheaper the other way around. If you need a bigger taxi or a van then price can go up to $90. Ask for a fixed fare because taxis in Sweden are not regulated and if you jump into the wrong taxi you’ll pay a loooooot. A private taxi for 3 people can be booked online for around $130. You can get an adult ticket for the Arlanda Express fast train for around $40 although there are a lot of options to travel cheaper if you are a couple, a family, a student or you are traveling at certain times. You should check their website for a complete explanation. With Flygbussarna airport shuttle buses a single trip will cost you around 11.50 € / $13 / £10. An even cheaper shuttle bus service operated by Flixbus starting at 3.90 € / $5.99 / £3.99 lets you travel between Arlanda Terminal 2/3, Terminal 4 or Terminal 5 to Stockholm Cityterminalen in 40 minutes (you can book online here). Regarding the duration of the trip, Arlanda Express is the fastest one at about 20 min. It takes around 50 minutes for shuttle buses to get to Stockholms Cityterminalen located beside Stockholm’s Central Station. On a taxi or bus the duration of your trip may vary depending on traffic jams and road work in the northern part of Stockholm. The option to get to the center of Stockholm by public transportation is very interesting for those planning to get around in Stockholm by means of the commuter trains, underground trains, buses and trams. If you plan to do so you can use your ticket to travel cheaper. For instance if you buy your Stockholm Pass tourist card with the extra public transportation add-on and let them ship it to you at your home. You find more information about the Stockholm Pass here. 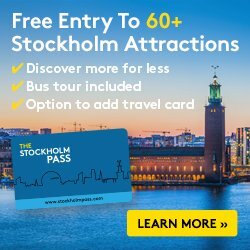 If you are unsure of buying the Stockholm Pass but you do want to use the public transportation to get to the museums, attractions and sights in Stockholm go to the 7-eleven, Pressbyrån kiosks at Arlanda Airport or visit the visitor center to buy an SL-Access card for a period of 24, 72 hours or 7 days. You can get them on paper or fill a physical chipped card that you can top up during your stay. 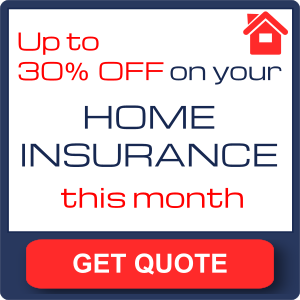 Prices start at 13€ / 25€ / 33€ or $14 / $27 /$36 and £11.50 / £22 / £29 respectively. You’ll find more information on public transportation in Stockholm here. This public transport cards are valid from your first use. Make your way to the airport entrance and look for where bus nr 583 stops. Usually the stop is located between terminals 4 and 5 and the stop number is 15/16 but that may suffer from variations. Wait for the bus and get on the bus destination Märsta Station. Travel time is around 18 minutes. Buses depart often and even beyond midnight but you should check the schedule for the bus line 583 here. If you are lucky, once you arrive at Märsta Station it will not be long until a commuter train (pendeltåg in Swedish) departs. You should wait for train nr. 42X or 41 that travel through Stockholm’s City Station. Travel time is around 40 minutes. The schedule for the commuter train 42X from December to mid June and mid August to December can be downloaded here. For commuter train 41 here. Summer schedules (mid June to mid August) are available some weeks before the season but they don’t differ much. With shorter commuting times your trip to Stockholm should take less than an hour but if you miss the train and have to wait for the next one it could be up to 1 hour and 20 minutes. If you are NOT interested in using public transportation DURING your stay but still you’d like to take advantage of it to get to Stockholm at the cheapest fare possible you need to go to one of the kiosks at Arlanda airport and buy a one-time single ticket (in Swedish called engångsbiljett) costing only 43 SEK (around 4€ / $5 / £3.60) which will entitle you to travel in the way I explained above. You will need a similar one-time ticket for you return trip to the airport. That makes $10 for a sneak peek at Stockholm. If you are staying longer you can always combine the different travel card and ticket options so that you have enough credit or a valid ticket when returning to the airport after your holidays. A 7-day ticket is well worth its price and it’s the option I recommend even for those staying in Stockholm for 4 and up to 7 days. So this is the story about the famous bus 583 and the commuter train 42x that will take you to the city center at the cheapest possible fare so that you can spend your money visiting attractions, eating good food and discovering what makes Stockholm unique and tourism in Sweden different. If you have any questions, doubts or suggestions feel free to leave me a comment below. Hi iam Numan Nasir i will travel with my wife and 1 3 years old child from arlanda airport to stockholm city center which is the cheapeast ticket price and train is best or buses please reply me thanks . cheapest is the public transportation (bus 583 + commuter train 42X). You can travel with a single ticket for you, another for your wife and one for your child. Price 2 x 45 SEK + 1 x 22 SEK = 112 SEK (12.45 USD or around 1800 Pakistani rupee). It takes between 1h 15 min and 1h 30 min. Check here Flygbussarna buses which aren’t that expensive and more straightforward (just 45 min to the city). Prices around 13 € / 15 USD per person. Hey, I wonder if you know about the 120 SEK access fee . Train passengers who get on and off at Arlanda Central station pay an access fee of 120 SEK. If the fee is not included in your fare you can pay at the station counter in SkyCity. The access fee is linked to the use of the station and the railway and how they were funded when they were built in the 1990s. yes that fee does exist but that fee is applied when boarding the train at Arlanda C Station which is located in the airport building. With the cheap way I write about we skip that fee by traveling to Märsta Station by bus and then getting on the train bound for Stockholm C. It takes a little longer but you can save some money. Hi! Thanks for the information! Now there is an easier way to do this trip: using the Flixbus line nb 612, going from Uppsala to Stockholm citycentre. It leaves from the bus station downtown and goes to the diferent terminals (and obviously, the over way around). It costs 4,90€ and takes 1h without tranfers. Thanks Magali. I got to know about Flixbus cheap transfer from Arlanda (starting at 3,90 €) a few months ago but didn’t have time to update as I did now. good morning i will visit stockholm on 12/2/2019 i need a cheap fast way to get from terminal5 arlanda statio till mornigon hotel any tips? The cheap and fast way is bus to Cityterminalen then metro (red line to Mörby Centrum) from t-centralen station to Östermalmstorg and walk from there. The metro and walk part takes 10 minutes. can i pay the ticket directly without booking on flexibus from arlanda to stockholm? is there a flexibus station at the airport? I am not so sure about traveling without booking. But there are Flixbus stops at every terminal in Arlanda. Is there any monthly travelcard as I ‘m going to stay for whole month ,me my wife and 02 boys (12 & 14 years old). Hi Mourad, yes in Stockholm there is a monthly transportation card. Price in 2019: 890 SEK for adults. 590 SEK for your boys. Can I use the 24 hour travel card from city to airport by commuter train “Pendeltåg 43”? or should buy single ticket (plus from 24 hour travel card)? Hi you can use it if you take the commuter train to Märsta station and the bus 583 from there to Arlanda. Thank you very much for your great advise.